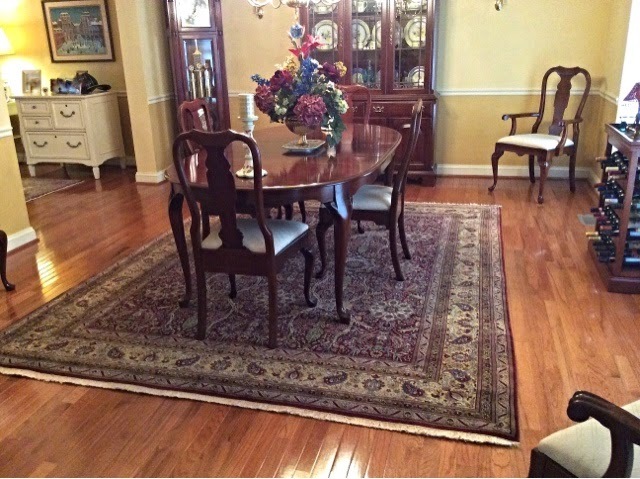 Renovation of a Princeton, NJ home was completed recently with help from Brandon Oriental Rugs (www.BrandonRugs.com) in Bucks County, PA. The Princeton homeowners added an extension to their existing home in town, giving them a new, conjoined family room, kitchen, dining area, mudroom and wine cellar for gatherings of family and friends, and for business entertaining. Their plans involved incorporating a mix of new and old furnishings (including a new family room rug) to fill the expanded living areas. The marriage of modern with traditional yields an updated elegant, comfortable, functional and uncluttered look and feel. The rug selected from Brandon is an exceptional, antique reproduction Persian Kashan design rug made in India according to "Super Amritsar" contract guidelines. Using weight per square foot as a guideline, the rug has no equal in the world. 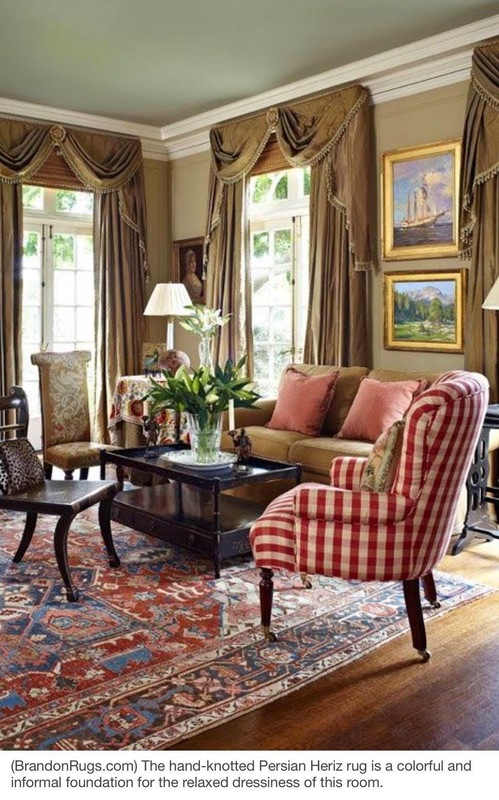 As well, the variegation of colortones in the densely knotted thick pile carpet gives it an almost wondrous ability to coordinate with the many different colors that already exist in the room. We congratulate our customers for a brilliant rug selection to complement the well-considered new addition to their lovely home. Considering all that happens atop and around the rug in your living room, it is not an insignificant place. Since it is at the heart of your home, the choice of a rug will repay you handsomely if it is a heartfelt choice satisfying essential things you want to feel and see in your home. Begin with the end in mind. 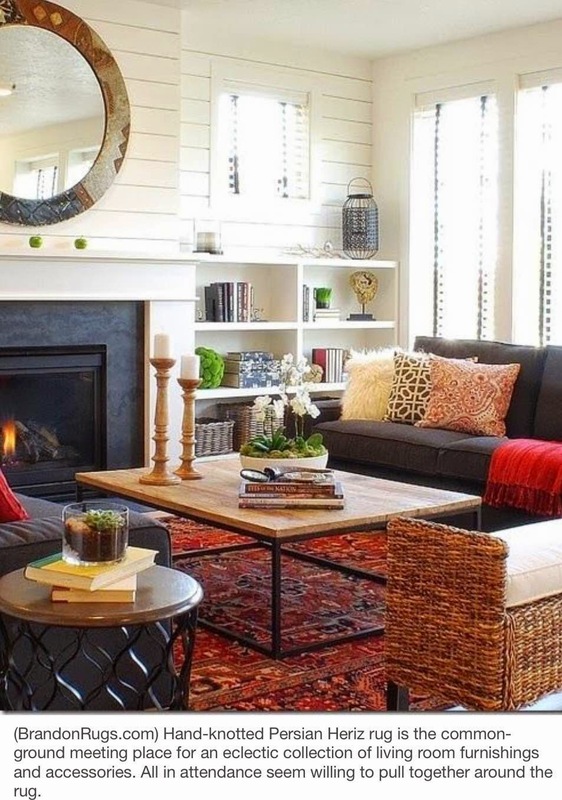 Starting with a a colorful, impressive and well-made rug will allow many more interesting options for your room decor as you decide how you want it to look when completed. 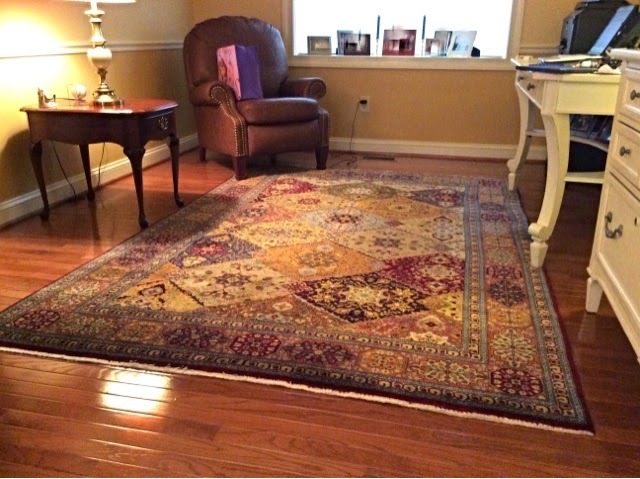 When you think about what a real oriental rug on the floor does for a room compared with other choices you could make in its stead (carpet or bare floors), you can readily appreciate that a fine rug empowers you to avoid the ordinary and do something really extraordinary. Some marriages are just destined to work and endure. There are are rugs that are naturally at home in rooms that have a certain character and use particular furniture styles. The unions look like matches made in heaven. 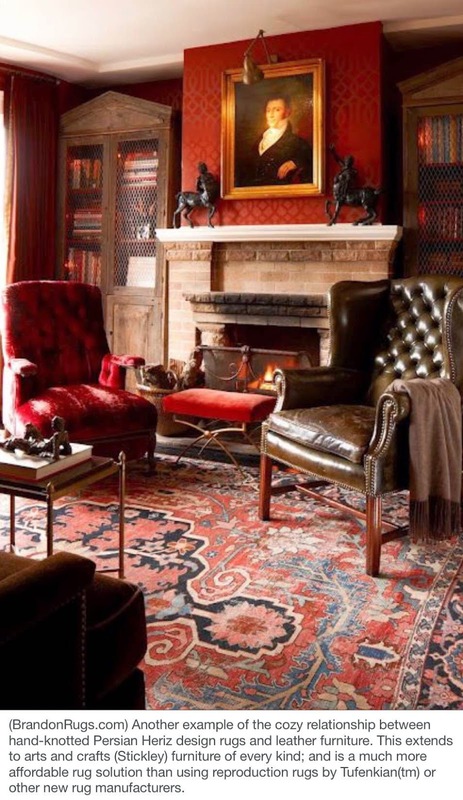 Traditional rugs are anything but stuffy. They are actually great at "a party": surprisingly relaxed, casual, and accommodating. They make friends easily in whatever crowd they are found. The richest in the vehicle doesn't necessarily sit in the driver's seat, but can sit back and direct the ride to where riches determine. this is the kind of company you’ll be keeping. 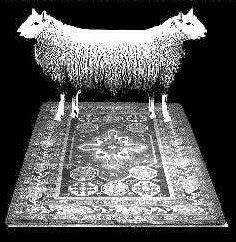 Would you believe it if you were told, "Symmetrical rugs can only be produced with special wool that comes from rare symmetrical sheep" ??? Well, that is just one of the many stories our customers tell us they have been told at other rug stores. And here is another, even less believable: "75% OFF SALE". 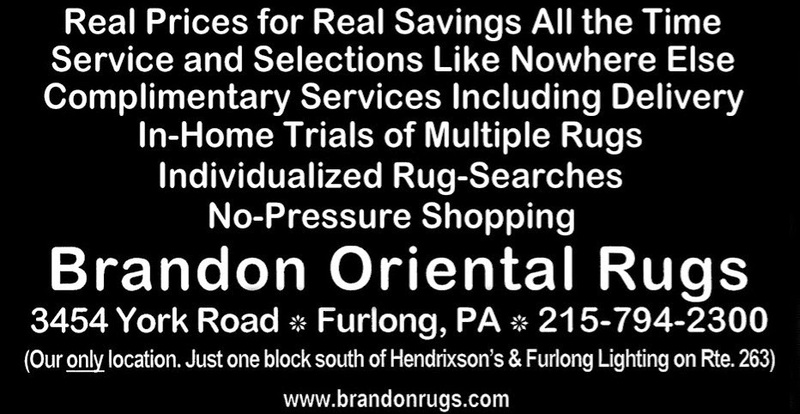 If rug store fictions leave you skeptical about what is real, visit or call Brandon Oriental Rugs. 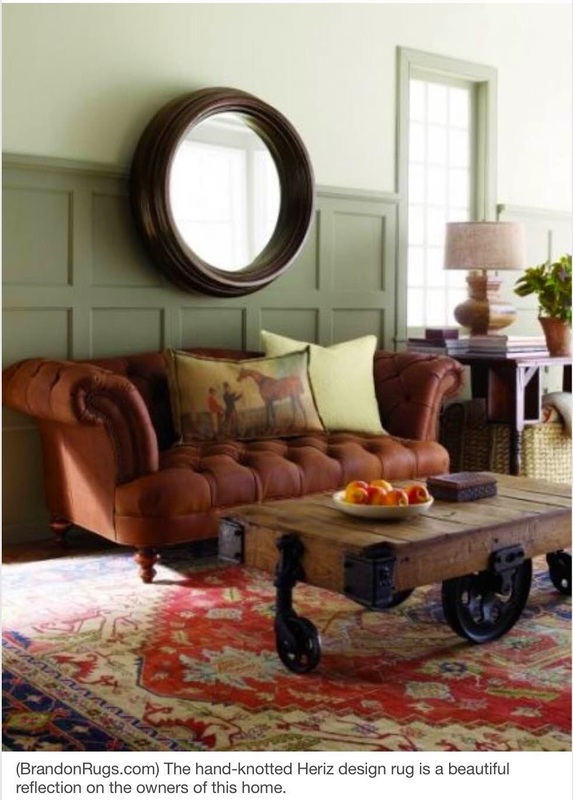 Our reality based standards and service offer you the best value on quality handmade rugs. Real prices for real saving all of the time. 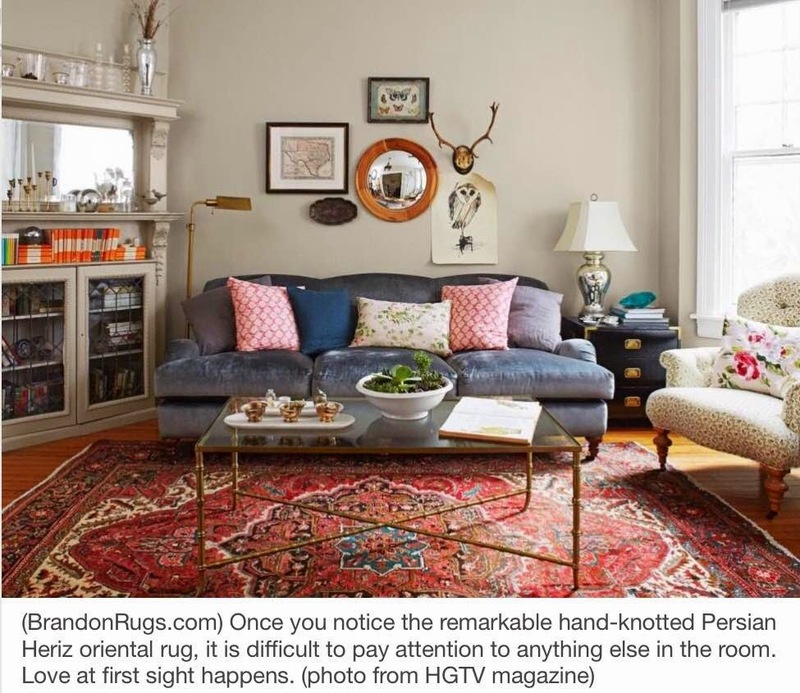 Option to "try it before you buy it"
@BrandonRugs: Two hand-knotted reproduction Persian Tabriz design rugs selected by our customer (a Chalfont, PA designer) for her client in Bensalem, PA. The rug above, hand-knotted in India, is an antique reproduction Persian Tabriz design adapting a Hadji-jalili workshop design from the last century, and completed in a 14/14 silken touch contract. The rug selected for the dining room below, was also hand-knotted in India, and reproduces a Persian Tabriz design featuring a field patterned in the "Hasht-guli" style that is rendered in an infinite tiling [appearing to extend under the border]. The rug is knotted in a 12/60 contract, and finished with a luster wash to impart the patina and tonal variegations associated with old rugs. 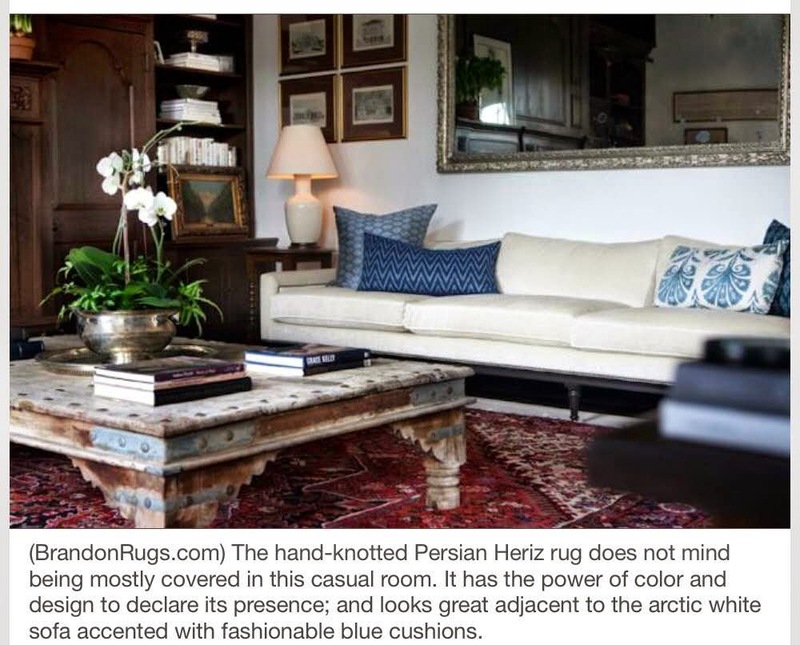 Both of the rugs above have just under 200 hand-tied knots per square inch, but have different "hands" [the overall impression of weight, thickness, texture, and suppleness versus stiffness when you grasp a corner of the rug] because of the difference in contract type. If you multiply the number of knots per square inch by 144 [the number of square inches in a square foot] and then multiply by the length and width of each rug -- i.e 8x10 for the dining room rug and 6x9 for the home office rug -- you have an approximate figure for the number of knots in the entire rug. Divide that figure by 15,000 [the average number of knots tied in a workday by a skilled weaver] and you get the number of days it took to weave the rug. Ask yourself what that much time of your own labor is worth. Keep that figure in mind when you go shopping for your handmade oriental rug. You will be amazed at the incredible value that is being offered to you.